ohhh black glitter LITA it’s so nice to MEET YA!!!! WELLLLL it’s my lucky day because my thoughtful boyfriend is a sneaky ninja! He knew I wanted these glitter Litas so bad that he followed Solestruck’s Twitter to find out when they would restock the Glitter Lita boots. 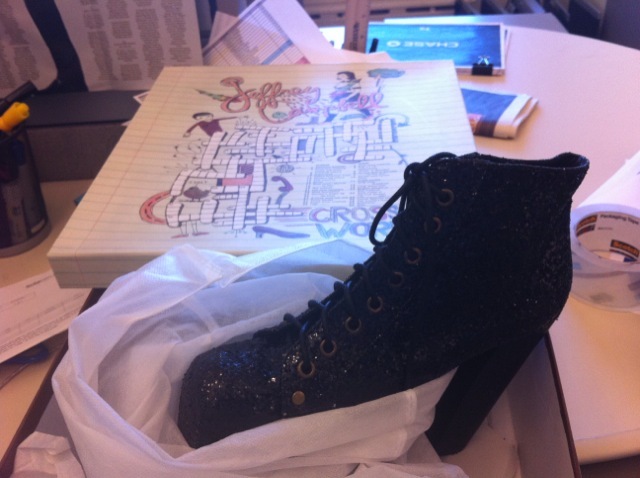 A few days ago Solestruck tweeted the release of the BLACK GLITTER LITA boot and he purchased them right away! Thank goodness he did because 20 minutes later (when I found out they were released) they were already sold out! He surprised me today with these beauties. I’m so excited! 🙂 Ouuu weeee! I can’t believe he made one of my dreams come true! hehe They go with everything and they are very comfortable. 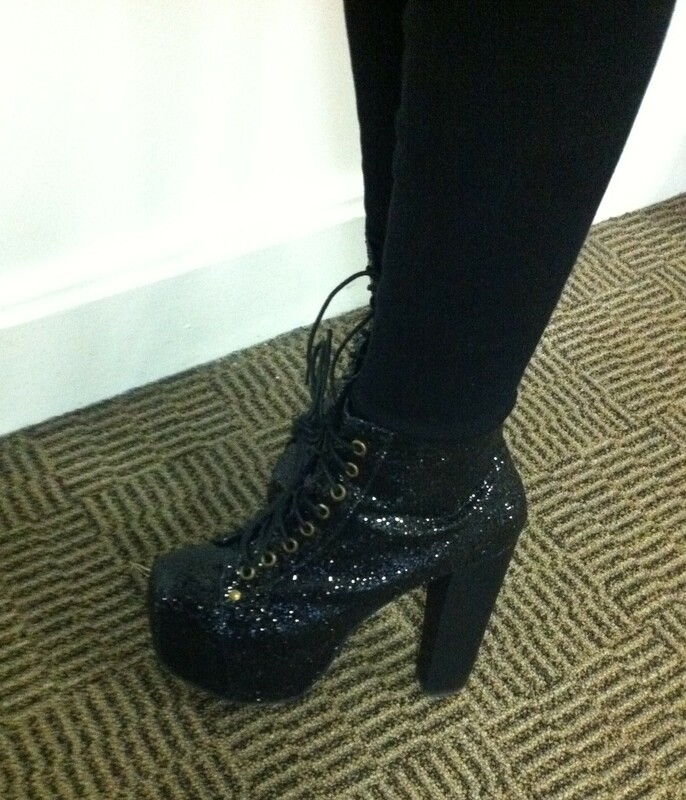 I know what you’re thinking…”A shoe that high can’t be comfy” but I promise you they are. You’re the BEST BOYFRIEND IN THE WORLD! *LESSON: FOLLOW SOLETRUCK’S TWITTER to know when they release/restock shoes! Awww! What a sweet thing for him to do! 😀 so cute.